Bringing a pet home is a joyous occasion. But, what most pet owners forget is that they'll be answerable for all the actions of their pets. In the U.S. alone, thousands of people are bitten by animals every year, most of them being pet dogs. Over 4.5 million people suffer dog bites every year, and the most number of dog bite sufferers are children. The dog that bit the victim was outside the owner's residence boundaries and was not leashed. The dog has already bitten someone else in the past and the dog owner was aware of the same. The victim was bitten as a result of the negligence or a misleading act by someone else. Example, if the dog owner promised that dog would be kept away from guests, but failed to do so. Even those who do not own the dog may be liable for paying damages if it is proved that they had knowledge of the dog being vicious, but still allowed it to come into contact with the sufferer. If your dog attacks a person, you could face a personal injury lawsuit by the victim, and in cases where there's no appropriate insurance coverage, you may end up paying for the sufferer's medical expenses and other losses over. This will be above your own legal expense charges. 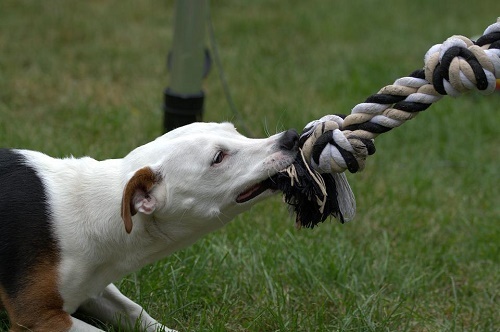 If you're a dog owner, it is important to understand the dog bite laws in your state as they may differ from place to place. However, the following three basic principles determine whether or not the owner is liable for injuries or losses caused by the dog. Under one bite law, the dog owner is not liable to pay for the damage or injury if it is the dog's first bite and if he/she had no reason to suspect that the dog was inclined to act aggressively. However, this law is not applicable if it is proved that the dog owner was aware of the possibility or should have known that the dog is foreseeably dangerous to others. This law is practiced in over a dozen states including Georgia, Texas, and New York. 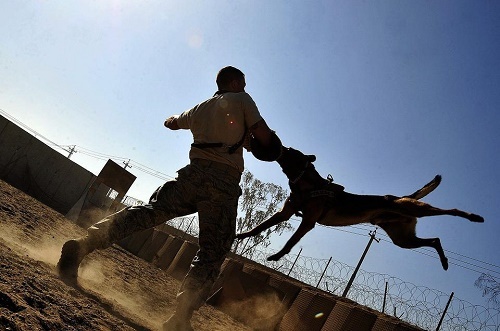 The Strict liability laws state that irrespective of the precautions an owner has taken to tame the pet dog, if it is proved that the injury to the victim is caused by the dog, then the owner is liable for the damages. States including California, Michigan, and New Jersey follow this law. Negligence is a legal concept that focuses on the reasonability of an individual's action depending on the circumstances. For example, the law of Negligence may apply in cases where the dog owner lets his dog move around unleashed and he bites someone. Also, cases, where the leash or fencing used to tame the dog, isn't secure enough to hold the pet and allows him to go out and bite someone. In such cases, the dog owner can be held responsible under the law of Negligence. A sudden change in the behavior of your dog should alarm you. If he is aggressive or you are having a difficult time taming him, it is always better to take necessary precautions for your and others safety. Putting up signs with a warning regarding the presence of a dog in the vicinity is the first step towards safety. Ensure that your fencing is strong and the latch works perfectly. Make sure your dog is always on leash when out in public places, regardless of the leash law prevalent in your state. Remember, if the dog owner is found guilty of carelessness in case of an unfortunate dog biting incident, the strict law of negligence automatically applies. For a dog owner, it is always beneficial to include dog bites in his/ her renter's or homeowner's insurance policy. It is important to ensure you're protected against any kind of mishap if you have a dog. An insurance coverage is the best financial protection available for a dog owner. In case of a dog bite, an attorney from the insurance company will fight your lawsuit. If an animal, especially a dog, has bitten you or any of your loved one, contact a good attorney and get legal help. If you're a dog owner, do not take chances and get an insurance cover against dog injuries regardless of your dog's behaviour. Taking proper care of the pet and ensuring that the pet is free from disease is the first step towards ensuring your safety and of the ones around you.